Shopping for Guardians of the Galaxy Key Chains? Bring the Guardians of the Galaxy all over the galaxy with you! From Guardians of the Galaxy Vol. 2 comes a pocket-sized Pop! figure of Star-Lord! Packaged in a window display box, this Guardians of the Galaxy Vol. 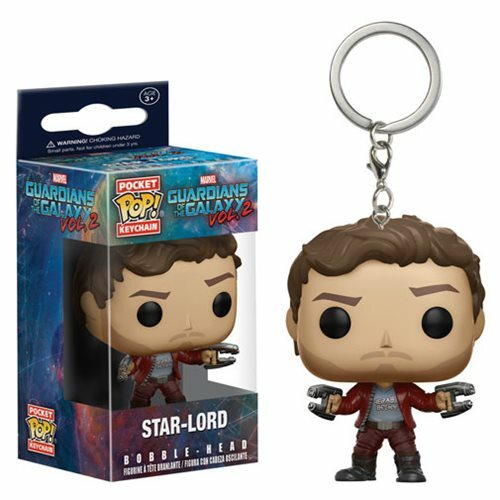 2 Star-Lord Pop! Key Chain measures approximately 1 1/2-inches tall. Ages 3 and up.